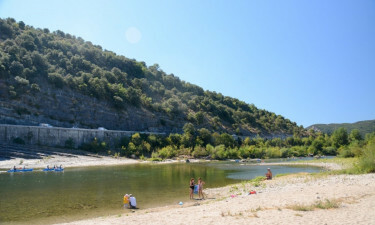 Camping Aloha Plage is situated in the natural beauty of the Gorges de l'Ardèche in the Ardeche region. The unique geological formations and gorges in this area make it the perfect location for whitewater sports. If you prefer to relax, then enjoy the many facilities of this luxury campsite or explore the nearby picturesque villages. 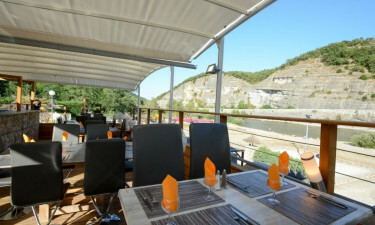 Located close to the Ardeche river and near to Vallont Pont d'Arc, this luxury camping site offers a camping holiday with something for everyone to enjoy. Food lovers will enjoy the excellent restaurants in the area while sports enthusiasts will relish the opportunity for water sports. Book now through Luxcamp for an amazing luxury camping experience at Aloha Plage. Why choose Camping Aloha Plage? The whole family can enjoy swimming and playing in the heated pools or you can just relax on a lounger and enjoy the warm Mediterranean sunshine. If you're feeling more active, you can pick one of the numerous hiking trails for a walk or a bike ride. There is direct access to a wide sandy beach situated on the banks of the Ardeche river. After building sandcastles - with or without the kids - you can rent a kayak or canoe for a gentle trip along the calm waters.